In many ways Nice’s famous Port sums up the two sides of the city – tiny traditional fishing boats line up across from Superyachts, cruise ships and passenger ferries. The authentic colours of the fishing fleet and the waterfront properties East of the Port also make this area a favourite for photographers. 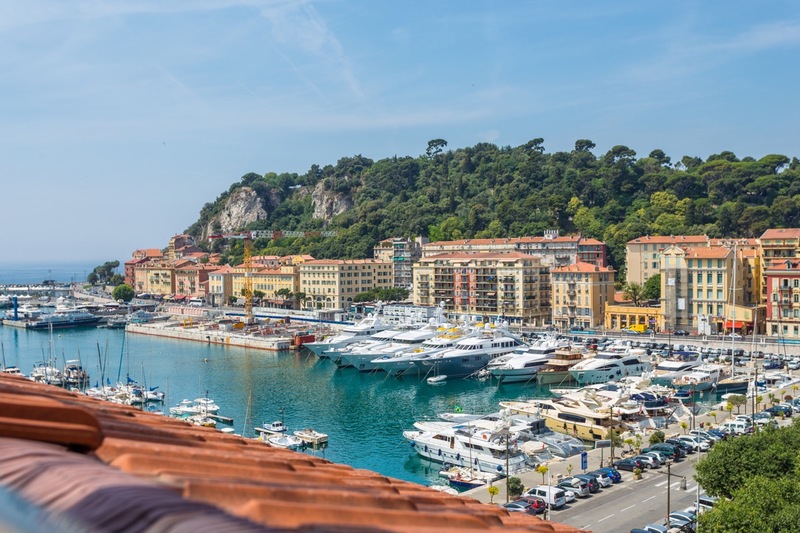 The Port, an up-and-coming area of Nice, has an interesting combination of a local French atmosphere and the opulence of the numerous yachts and high quality restaurants that line the harbour front. The Port extends from Place Garibaldi to the West , rue Barla to the North and the prehistoric Terra Armata Museum to the East. 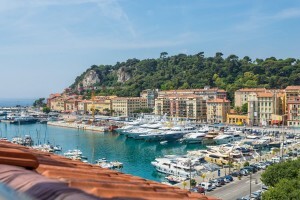 Our holiday lettings in Nice Port front have superb views of the Port area, the yachts and the Mediterranean Sea. To the North-West, the Place Garibaldi marks the old entrance to Nice. Place Garibaldi is named after the famous Italian Giuseppe Garibaldi. I many ways he is the ‘Che Guevara’ of Italy. Place Massena may be famous with tourists but the Place Garibaldi is where the locals come to relax. It is a popular meeting point and in the summer the square is full of people enjoying food and drink late into the evening. The West side of the Port houses Nice’s antique market and the back streets all around the Port contain many small, independent shops and some of the best cafes and restaurants in the city. Rue Catherine Segurane, and the area around it, is like Nice’s Notting Hill. Back on the coast, find Nice’s war memorial set into the cliff and then and take in the best views of the Promenade des Anglais from the Pointe de Rauba Capeu. Boulevard Frank Pilatte to the east is one of the most exclusive areas of Nice with beautiful quiet beaches and the best Pan Bagnats of Nice. 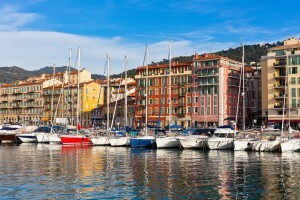 Holiday lettings in Nice Port, why so popular? 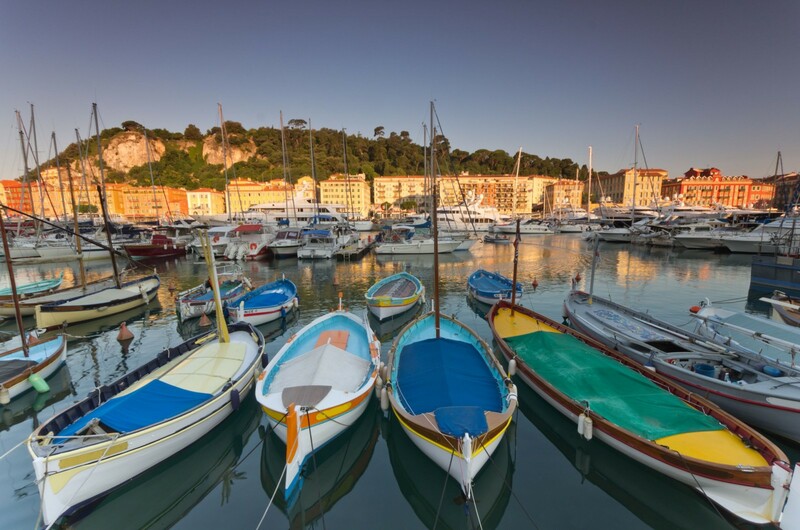 It is just a few minutes walk from the Old Town, but it has a far greater chance of finding elevators, sun basked French windows and some outside space, making the Port area a good alternative to the Vieux Nice. The Port area of Nice has an authentic charm which is similar to that which can be found in the Old Town. 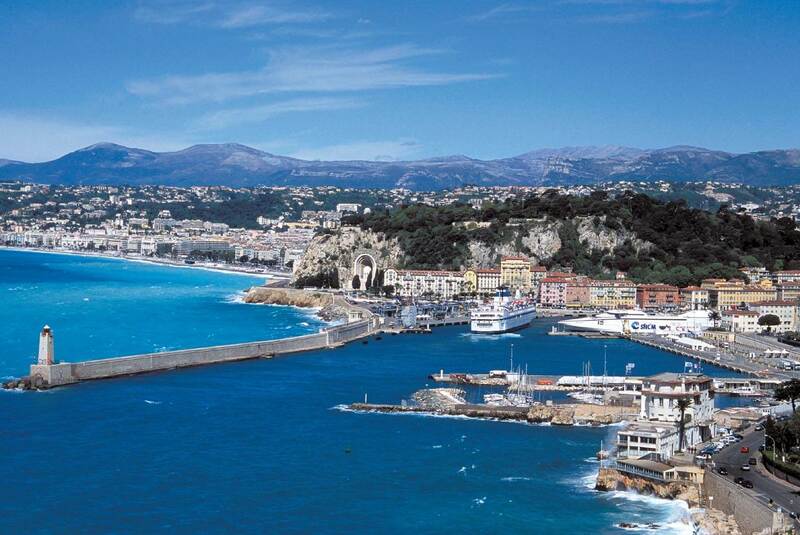 Your stay in our holiday lettings in Nice Port will be calmer than most other areas in Nice. Still there is a supermarket and bakery on every corner. The Port area consist with many of the best restaurants in Nice and even a couple Michelin star ones. On top off that, the Port area has the best sunny waterfront terraces in Nice. The new epicentre for the gay community in Nice is area around rue Bonaparte and Place du Pin, just behind place Garibaldi. With its many bars and restaurants, it has even been nicknamed ‘le petit Marais niçois’ after the famous ‘Marais’ gay area of Paris and is a great place to go out in the evening (even if you’re not gay!!) – some superb bars and restaurants along with a great ambiance. This is a particularly up-and-coming area and is more and more popular with locals and visitors alike. A tiny beautiful beach, next to the Club Nautique, is by far one of our favourite beaches in Nice. It’s within walking distance, there’s a ladder so that you don’t have to slip over the pebbles while getting in the water and it’s super local. Right past the port Lympia, it also features an awesome (although technically off-limits) diving board. 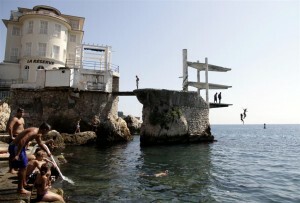 To get there, just keep following the sea past the port and keep an eye out for the diving board at Restaurant La Reserve. 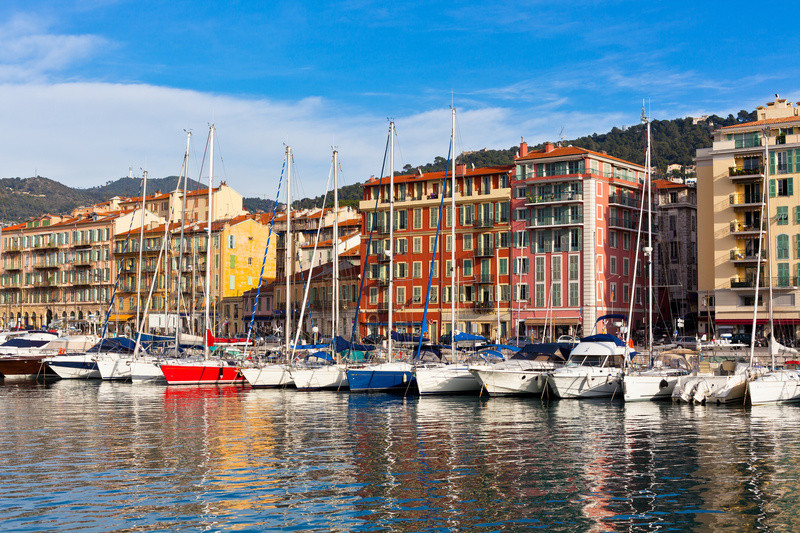 If you want a slightly quieter stay in Nice, away from the tourist hot spots, then our holiday lettings in Nice Port are for you. To enjoy stunning views over Nice and the harbor visit our studio’s PORT 1, PORT 2 and our one bedroom apartment PORT 3. Steps away from the beautiful Port Lympia is LASCARIS. An one bedroom apartment with AC, clean and cosy, where you will feel like a local!